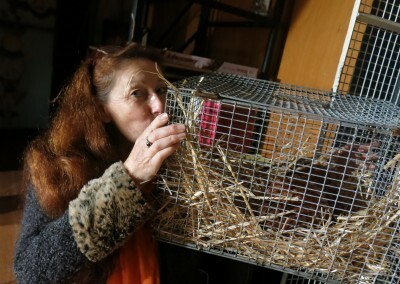 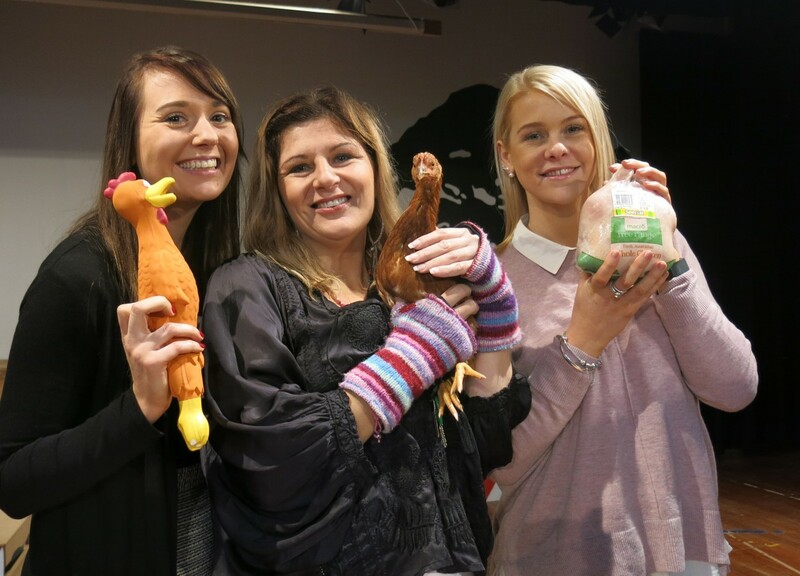 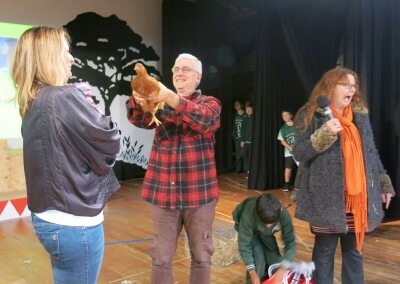 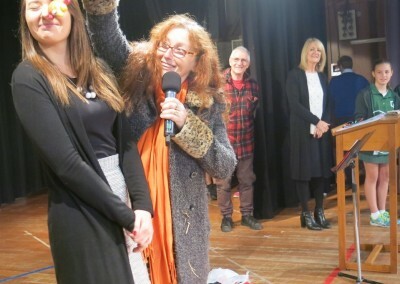 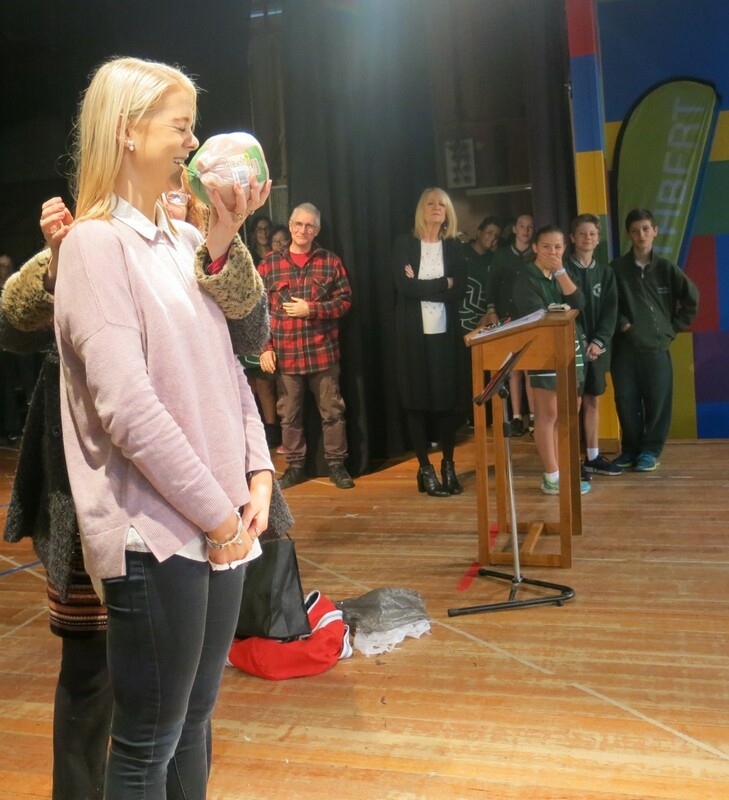 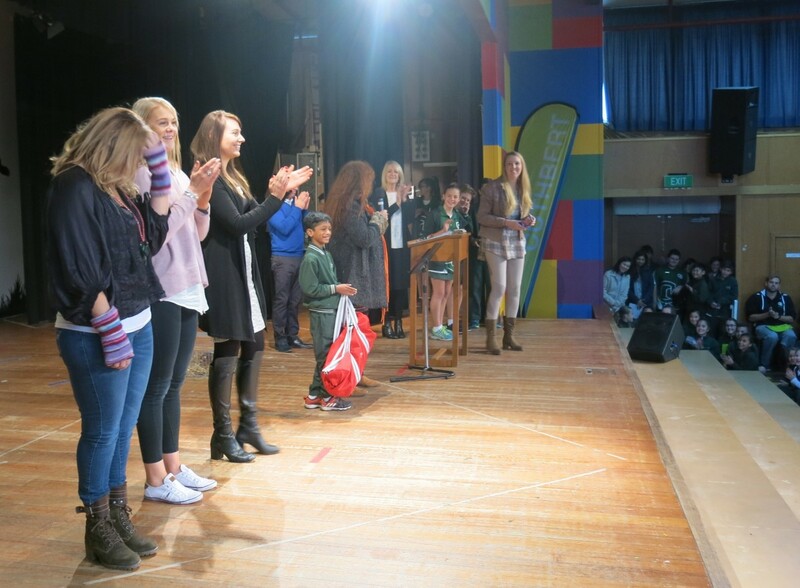 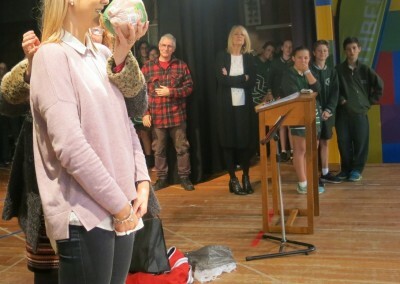 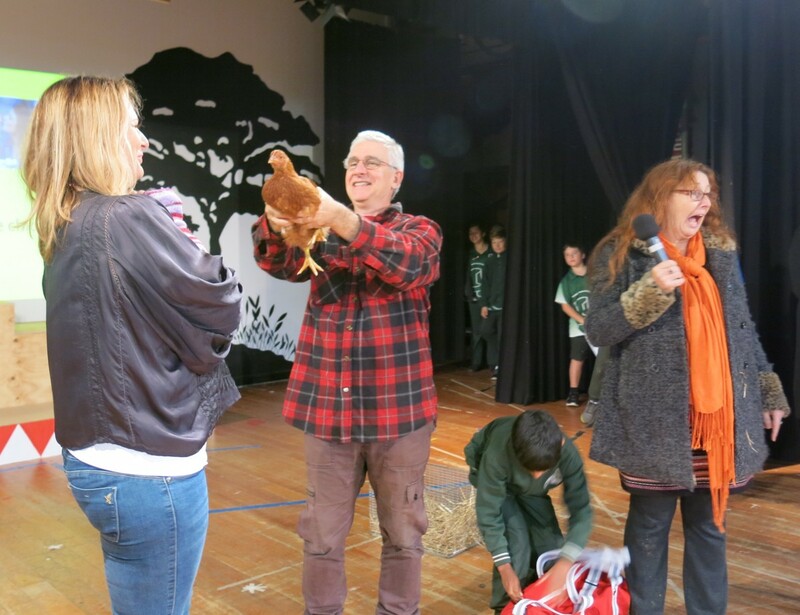 The all anticipated Kiss the Chicken Competition winners from the Fete was announced today at assembly. Ms Hunt, Miss Rayment and Miss Richardson were finalists and in attandance today. 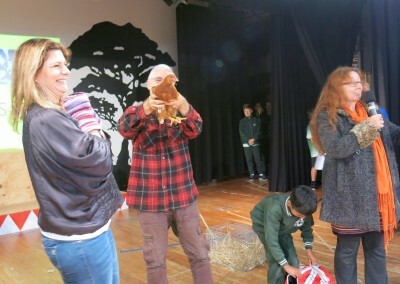 Mr Mooney was also a finalist and will be on stage next week. 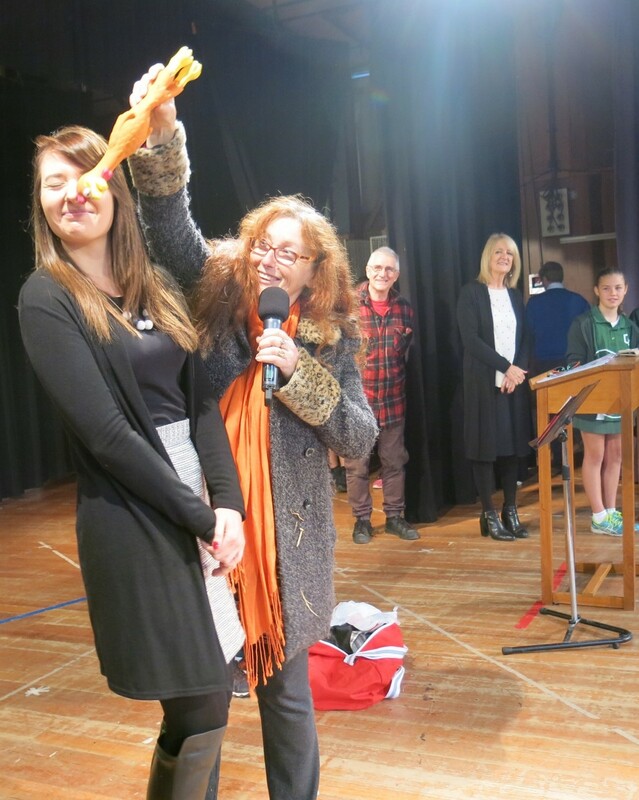 The ultimate winner was Ms Hunt! All of the teachers terrific sports puckering up to varieties of chicken.